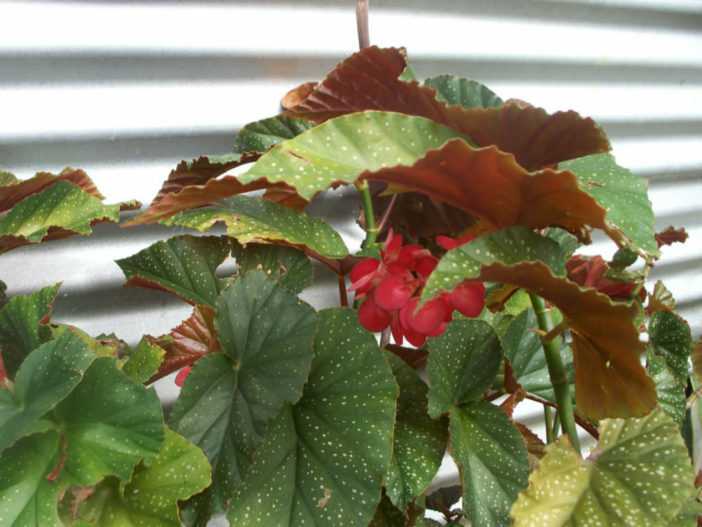 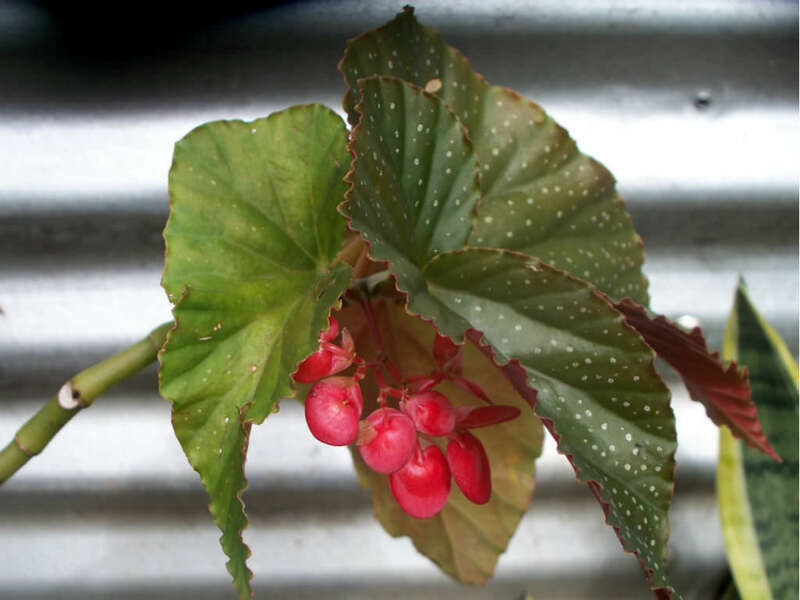 Begonia x corallina is a beautiful, easy- care, flowering plant with large, “angel wing” shaped, dark green leaves, often with metallic silver specks. 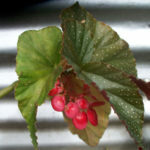 The underside of the leaf is usually a deep red. 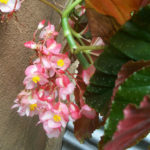 It produces hanging clusters of delicate flowers in red, white, orange or pink. 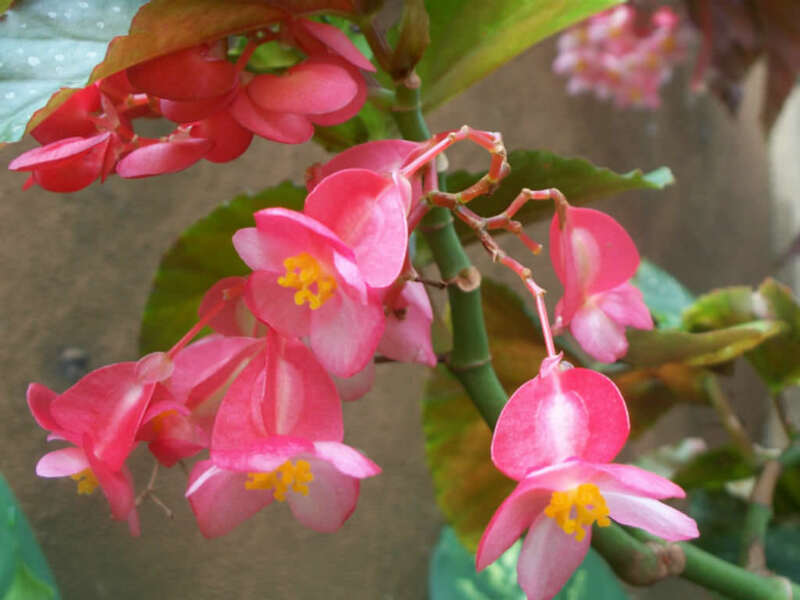 The intensity of the color of the flowers and leaves depends upon how much light the plant is getting. 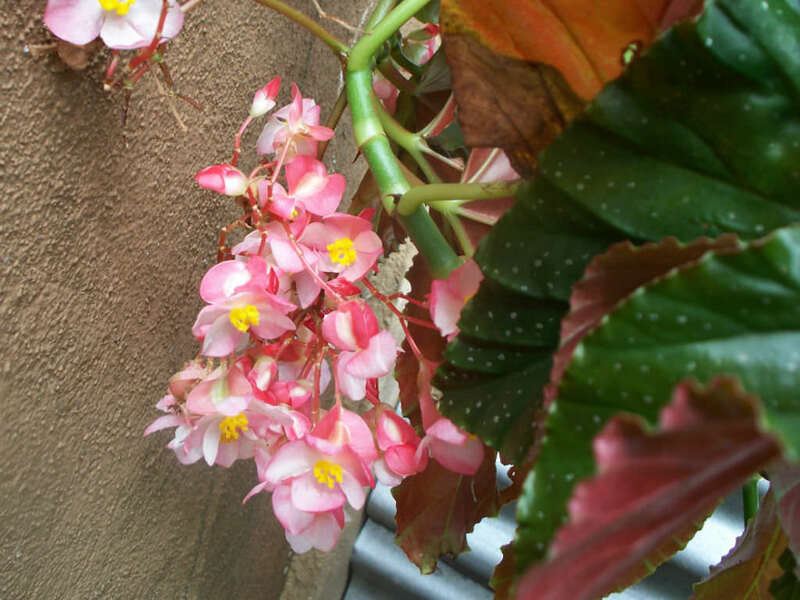 It is a hybrid Begonia which resulted from a cross between Begonia aconitifolia and Begonia coccinea. 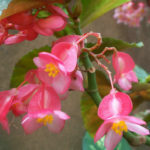 The hybridization was made by California plant breeder Eva Kenworthy Gray in 1926.